The ‘excite’ portion of the exploratory call is all about conveying your passion for your agency and its services to the prospect. While there are many ways to go about this, there are a few techniques to use in order to strategically share your services with the prospect during this phase of the sales cycle. One practice that is that works well is the Give and Get. The key to the give and get is sharing information that is valuable to the prospect (the give) and then asking for valuable information in return (the get). For example, share a helpful tip that may solve a problem a prospect is experiencing and then ask if that tip was relevant or useful to them. The purpose of the Give and Get is to learn more about your client and discover what their true need is as a potential client. 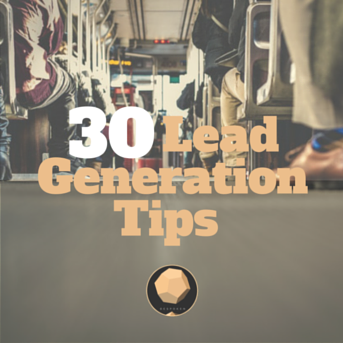 All of your tips should not just be all about getting new leads. Strategically use tips from each part of the sales funnel to effectively engage the client and show that you know your stuff. Also, the purpose of the give and get is to relate to the prospect and provide helpful information. Sharing a wide range of tips will make sure that you find something to relate to with a prospect and that you are maximizing your ability to help. Again, the purpose of the exploratory call is not to pitch your agency or sell them your services. Go in with the mindset of being a resource of knowledge for the prospect instead of a salesperson. When exciting the prospect, they should do more than nod and agree with the tips that you are sharing. You want to challenge them and be able to discover their tougher problems and be able to offer tips to solve those as well. At this stage in the sales process the focus should be more on giving tips and minor solutions than a full proposal. However, at this stage a prospect may ask for a full proposal of your services. While this seems like a step in the right direction, a prospect is not far enough in the sales process to warrant a proposal just yet. Instead of spending quality time on a full proposal for a prospective client, schedule a goal setting and planning call to further discuss the client and a future proposal. One final piece of advice for the excite portion of the exploratory call? Relate, relate, relate. Relate to your prospect using the Give and Get technique, relate to their problems, and offer relatable solutions.